A blend of linseed oil and chia seed oil, both rich in omega-3 fatty acids. Can be applied as-is as a dressing for salads. If you are vegan or vegetarian, linseed oil (also called flaxseed oil) and chia seed oil can be great places to get omega-3 fatty acids if you prefer not to take fish oil. This blend contains both linseed and chia seed oil, extracted through pressure. Omega-3 oils are often strong-tasting, but by blending two of them together we have improved their taste and made them easier to consume. The ratio of linseed oil to chia seed oil in this blend is 9:1. Omega-3 fatty acids (which are functional nutritional foods) are important nutrients that help to keep your skin and hair healthy and may reduce your risk of developing a variety of conditions, from heart disease to dementia to arthritis. Take approximately 3g (about 1 teaspoon) per day. 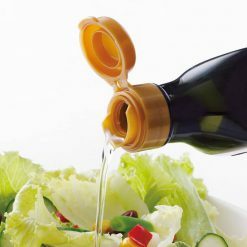 The oil can be taken straight, or eaten as a dressing on salads. 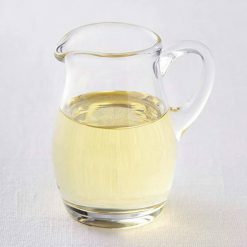 Another easy way to take the oil if you don’t particularly like its flavor is to mix it into a spoonful of cold soup or chili (the oil oxidizes easily, and should not be cooked or exposed to heat).Linseed oil can also be used topically. When rubbed onto the skin, it can help to smooth roughness and alleviate irritation. Some people find that topical application of linseed oil helps to reduce some of the inflammation associated with psoriasis and eczema.Note: The oil may become cloudy if stored at low temperatures, but this does not affect its quality. 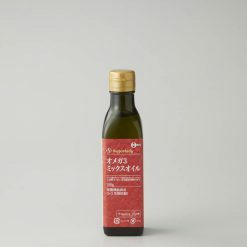 Once it has been opened, refrigerate the bottle and use the remaining oil as soon as possible. This product contains linseed oil (Belgium, Chile), chia seed oil (Mexico)..